This true black lady has proven her value multiple times. 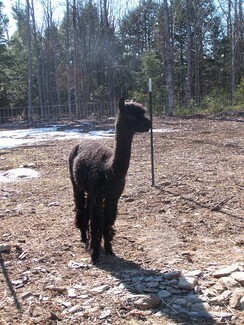 She has produced black, brown and white/brown male cria. 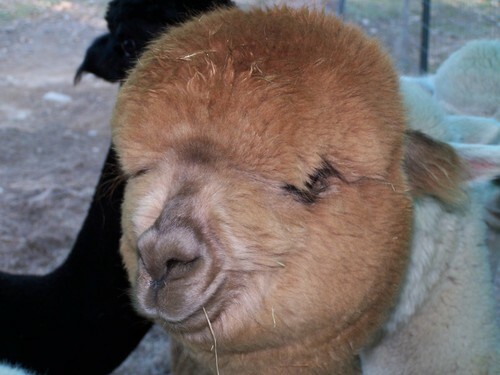 Her good attitude and docile temperament make her a pleasure to have. 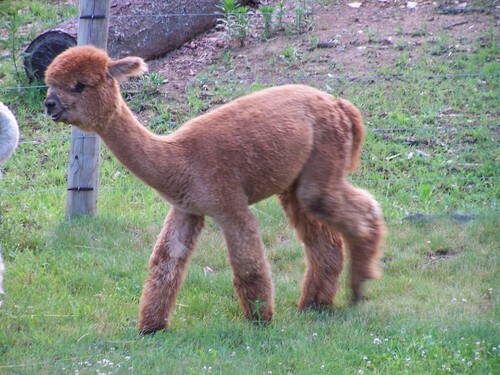 Our only brown alpaca, Neko has grown quickly and is expected to be a large animal. He has a fleece blanket above comparison. 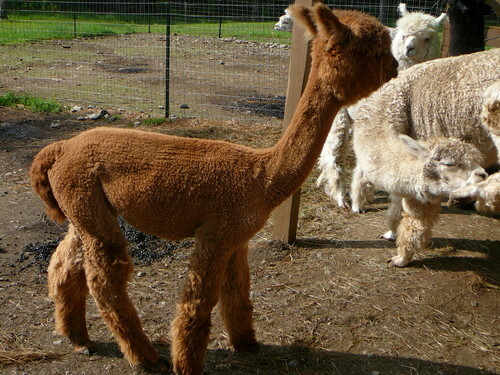 Now coming into adulthood he tries to assert his dominance by nipping the knees of his pen mates and is expected to make an excellent herd sire.